In The Book of the Grotesque the author does a great job in setting the mood for the reader. 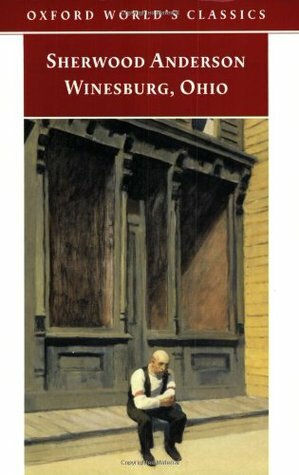 With great hesitation the author leads the reader down the path of what one can expect while hearing the tales of the characters in Winesburg, Ohio. As much as it may hurt, you just know that you can’t help yourself, and reading this book must be done. Hands is a story of a once successful farmhand who was hypnotic in his ability to harvest fruits and vegetables. As a young man he becomes a beloved school teacher with a subtle, hands-on approach with his students which draws the ire of his peers. Over time an apparent innocent act incites the imagination of others which in retrospect deem him to be willfully devious. An unfortunate event and general misunderstanding leads a well-meaning and sensitive man to squash his dreams, repress his ultimate passion in order to live an impenetrable lifestyle. Paper Pills tells a story of an old doctor who had one sole friend to his name. As a therapeutic way of freeing himself from the burden of his thoughts he writes them on pieces of paper, forms them into balls and stuffs in his pockets. He abruptly marries a young dark woman who has recently come into some money. With successful, virile young men lining up around the corner to call on her, why would she choose an old Dr.? Mother is a story about a small pox survivor who owns a failing, unprofitable hotel with her husband. The disease took its toll on her physically and emotionally which also exacerbated the feelings that her husband had given his current station in life. With a wayward son that reminds her of herself at that age, mother must get to her son before father ruins his potential and leads him down a life of anonymity. The Philosopher is a story about a self-proclaimed doctor that has had great difficulty choosing a path in life. At one time a newspaper reporter he became a minister and eventually settled down as a doctor. He wants respect and admiration from the locals but his physical appearance does not reflect his desires. He befriends a reporter with hopes of redemption through the art of storytelling. But how will the good doctor respond when the opportunity truly presents itself? Nobody Knows is a story about a young man mustering the courage and acting on the advancements of a young women. After each involved party received exactly what they wanted out of the deal, why is the man upset? Godliness 1) An effeminate young man has recently been handed the ownership of the family farm after the death of his mother to natural causes as well as his four brothers in the war. His father’s grief has taken over, forcing him to leave, while in Jesse’s mind everything that happens is part of God’s will. The idea of being strong in spirit, faithful in God and determined to reach a goal will propel him to success, but there will be a cost to be paid. 2) David views his grandfather’s farm as a safe haven from the abuse of his mother Katherine. After years and years of punishment David is viewed as a reward from God through the eyes of grandpa. One night David sees a side of his grandfather that he never knew existed which scars him for the rest of his life. It just goes to show that God knew that this man could not be trusted with nice things. 3) More than anything else in the world, all Louise ever wanted was to be loved. At fifteen she moves into the home of a family friend. She works extremely hard and over time she begins to overshadow the other children in the household. She aims to please others but is conflicted when it begins to pull at both ends. 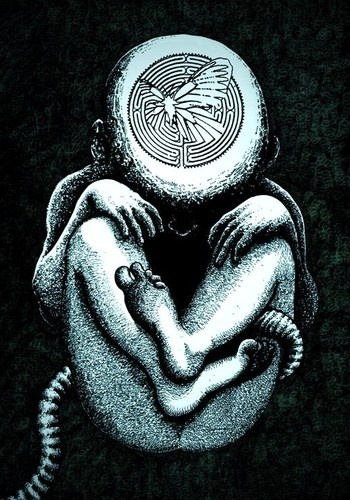 4) After observing a religious ritual, scary to the non-observer and feeling the fear of God in the pit if his stomach, David is abruptly forced into a life of uncertainty and a chance to assume a new future. A Man of Ideas is a story of a man that has an understanding of how to effectively communicate his thoughts to the intended audience for greater influence. While the majority see him as a meek, mild-mannered man there are times when he explodes out of nowhere frightening the people around him. What may seem as the ideals of a raging lunatic are actually very clear once you bypass your fear and look through the smoke. A man that prefers the traditional to the modern, manual to the automatic, the natural to the synthetic. Adventure Alice Windham is a precocious sixteen year old that draws the eye of an older gentleman. She offers herself to him and given his needs at the time there is no better time than right now. He decides to move to Cleveland for a job opportunity and promises to come back for her. Years pass and Alice holds hope, she denies herself of needful things, so money can be saved for the day he comes back. She denies the advances of gentleman callers because of the overwhelming feeling of passion. Sometimes your first love really does have a lasting hold on you. Respectability Is there really any other option for the ugliest man in town than to hate women, pity men and wish death upon himself. When your inner beauty supersedes the flaws on the outside you keep waiting for somebody to shine a light. The Thinker Lost in thought never learning how to act. Failing to feel a part of his environment the fear of a lifetime of loneliness is in the awning. Subtly he is told that talk is cheap and actions speak louder than words, will he ever figure it out? Tandy Father shows more love to a drunken stranger because he says everything he wanted to hear. After feeling a sense of identity and importance and being told the things she needed to hear,so does she. Thank you kind stranger. The Strength of God When you are always looking for something you sometimes find it in the most peculiar of places. The Teacher Men and women and mixed signals, you don’t say. Old and young and misunderstandings, yeah right. At different points in life you have to expect the expected especially in a small town like Winesburg. Loneliness A manchild failing to be a functional part of the world becomes a character in an ensemble in his own cerebral cortex. Traversing between the real and surreal their are no other responsibilities except for his own happiness. When a woman infiltrates his inner sanctuary he may have no other option. An Awakening Like a teenage sweetheart movie, a physically immature young man is unaware that a psycho, uncontrollable beast is waiting while he kisses his girl. After a psychological castration and relentless bullying, the hot dish ran away with the goon. Unlike a teenage sweetheart movie this boy doesn’t get the girl and he wouldn’t have it any other way. Queer A man’s desire for normalcy without preconceptions based on his father’s reputation leads him to an alteration of past business practices. Maybe a speckled trout needs to be with other speckled trout or embrace the differences that make us who we are. The Untold Lie Farm hands with drastically different personalities and principles. When an opinion is needed one man has great difficulty being honest because of his own hesitations. A billion people can’t be wrong. Drink Coming from the rough and tumble streets of Cincinnati, simple pleasures can seem so dirty to the sheltered. 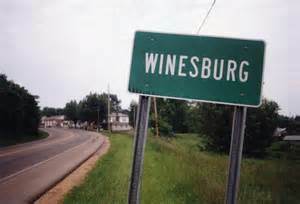 When you experience the more modern and expansive world of Winesburg the same pleasure you hold disdain for, can suddenly become quite intriguing. Death At a time when small town doctors generally had no specializations except for the main goal of keeping patients alive. A doctor can simply act as a sounding board for a troubled patient and breathe new life into them.Whether sexual, emotional, or spiritual, accept a relationship for what it is, don’t make more of it than what is really there or risk losing it. Sophistication A man on the precipice of adulthood. Upon extended contemplation and fears of being a leaf blowing in the wind he envisions himself to be a sturdy oak tree producing the wind that blows the leaves and nothing short. While diving head first is admirable, taking a step back and enjoying one last moment of innocence wouldn’t hurt either. Departure Don’t think of nothing big or dramatic, think of the little things, reminisce, and just go. As depressing as many people believe this collection of stories to be, I believe this book to be a call to the acknowledgement of life’s impediments,acceptance and staying in tune to your true self. Think of this as a collection of lessons learned from close to one hundred years ago that still have resonance today.